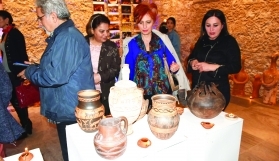 The Vounous International Terracotta Exhibition was held at the Kyrenia Municipality Art Gallery. 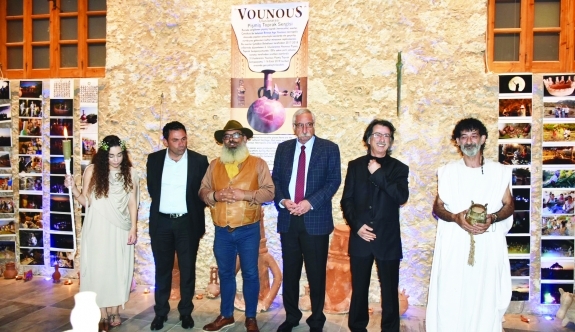 Kyrenia Municipality Art Gallery hosted works prepared by Rauf Ersenal, the project coordinator and prepared at the Vounous International Terracotta Symposium organised by Çatalköy Municipality. With the participation of the Mayor of Kyrenia, Nidai Güngördü and the Mayor of Çatalköy, Mehmet Hulusioğlu the Vounous International Terracotta Exhibition was opened the previous day and attracted great attention. 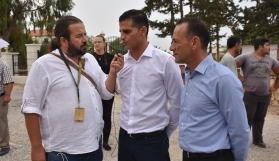 Speaking at the opening, Kyrenia and Çatalköy Municipality Art Director Derman Atik expressed his interest in the exhibition opened at the Kyrenia Art Gallery following the Bedesten and thanked those who had contributed to the project. 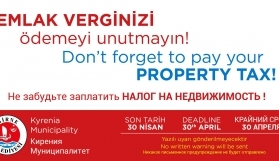 Project coordinator Rauf Ersenal, stated that the work began as the Çatalköy Municipality made a claim on the project. Rauf Ersenal satetd tha, the excavations in the 1930’s has emerged the Vounous region dating back to 5,000 years ago. Rauf Ersenal also stated that the people of the region sent a message to the future by ceramics and the works were taken abroad. Ersenal said, by making the replicas of the art works, they want to introduce and sustain this culture. 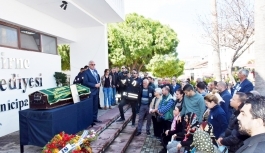 Çatalköy Mayor Mehmet Hulusioğlu stated that Northern Cyprus is an advantage in terms of the historcal work and that this situation should contribute to the promotion, tourism and economy of the country. Hulusioğlu pointed out that there are works waiting to be discovered under the ground and that they can be revealed and exhibited with the works to be done. Hulusioglu said that a study must be done to bring back the works that were taken abroad. 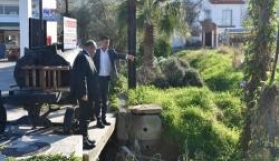 Kyrenia Mayor Nidai Güngördü said that by making the replicas of the works which are abroad, the past was revived and the life and culture of the period was transferred. 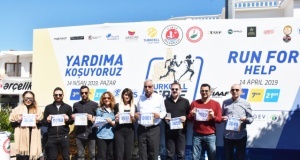 Güngördü stated that, Kyrenia and Çatalköy municipalities cooperate especially in culture and art. “There are not only casinos and hotels in Kyrenia and Çatalköy, there are artists and people who value and contribute to art. There are those who come to watch these exhibitions. We create awareness for culture and art” he said.